HARMONY OF THE SOUL: VOCAL GROUPS 1962-1967. For many record companies, especially smaller independent labels, a successful compilation can be the answer to a label manager’s prayers. Suddenly, all the small losses that they’ve accumulated over the financial year are wiped out. Even better, there’s some profit left over. So it’s no surprise that the label manager’s thoughts turn to a followup. Soon work begins on the followup. Compiling the compilation is a slow, laborious process. Time is spent finding and licensing tracks. Then there are sleeve-notes to write and an album cover to design. It all takes time. However, when the second instalment in the series is released, it’s another commercial success. By then, there’s talk of the compilation becoming an annual occurrence. After volumes three and four sell in larger quantities, the record company begin to pressure the compiler to release two volumes annually. This is where things can go wrong. The compiler hasn’t the same time find and license the tracks. So instead of picking the tracks he really wants, he settles for second best. Suddenly, the reviews aren’t as good and the sales start to suffer. After another couple of volumes, the series is a pale shadow of what it once was. It lasts just one more volume, before the compilation is pensioned off. By then, it’s more off a mercy killing. It’s a sad end to what could’ve been a long and successful compilation series. Sadly, it was cut down in its prime by greed and avarice. That will never happen to one of Kent Soul’s Harmony series, which makes a welcome comeback after a three year absence. Harmony Of The Soul: Vocal Groups 1962-1977 is only the forth volume in a series that began in 2003. It was back in July 2003, that Kent Soul, a subsidiary of Ace Records released In Perfect Harmony: Sweet Soul Groups 1968-1977. When the compilation was released, it was well received by critics and commercially successful. However, despite the critical acclaim and commercial success, it was over two years before the followup to In Perfect Harmony: Sweet Soul Groups 1968-1977 was released. As October 2005 drew to a close, Kent Soul released More Perfect Harmony: Sweet Soul Groups 1967-1975. The same critical acclaim accompanied the release of the second instalment in the Harmony series. Surely a third volume would follow quite quickly? On 2nd December 2013, soul fans’ patience was rewarded when Kent Soul released Soul In Harmony: Vocal Groups 1967-1977. This was an early Christmas present for soul fans. When they played Soul In Harmony: Vocal Groups 1967-1977, they realised the reviews were right, and the eight year wait was worthwhile. However, the big question was when will the next instalment of this occasional series be released? The answer came in late February, when Kent Soul released Harmony Of The Soul: Vocal Groups 1962-1977. It’s a twenty-four track compilation featuring a mixture of familiar faces an new names. 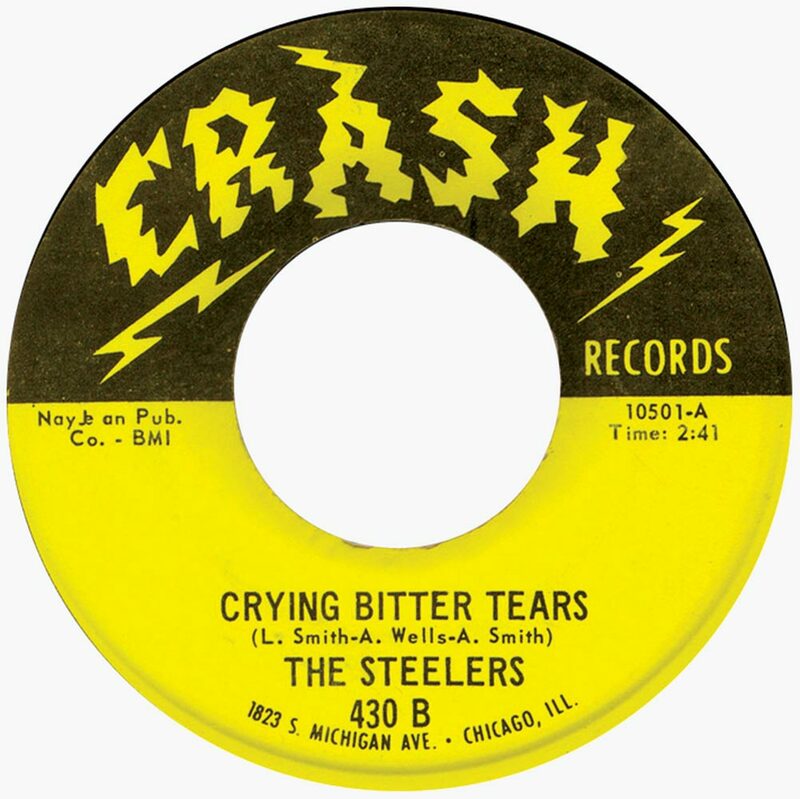 There’s contributions from Choice of Colors, The Imaginations, The Perfections, The Lovers, The Pretenders, The Superbs, Special Delivery, The Webb People, The Dramatic Experience and Steelers. These artists are just a few of the names on Harmony Of The Soul: Vocal Groups 1962-1977, which I’ll pick the highlights of. Opening Harmony Of The Soul: Vocal Groups 1962-1977 is The Pretenders’ For The Rest Of My Days. It was the B-Side to The Pretenders’ 1973 single Hearts Were Made To Love. 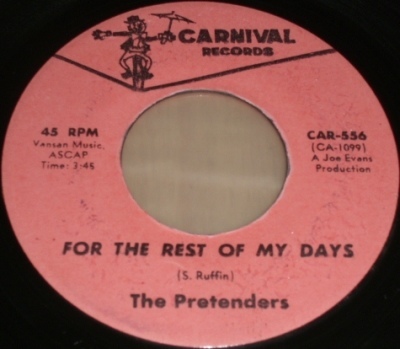 For The Rest Of My Days was penned by Kenneth Ruffin, and produced by Joe Evans for his New Jersey based Carnival label. There’s a nod to Philly Soul, and especially Thom Bell’s work with The Delfonics and The Stylistics. 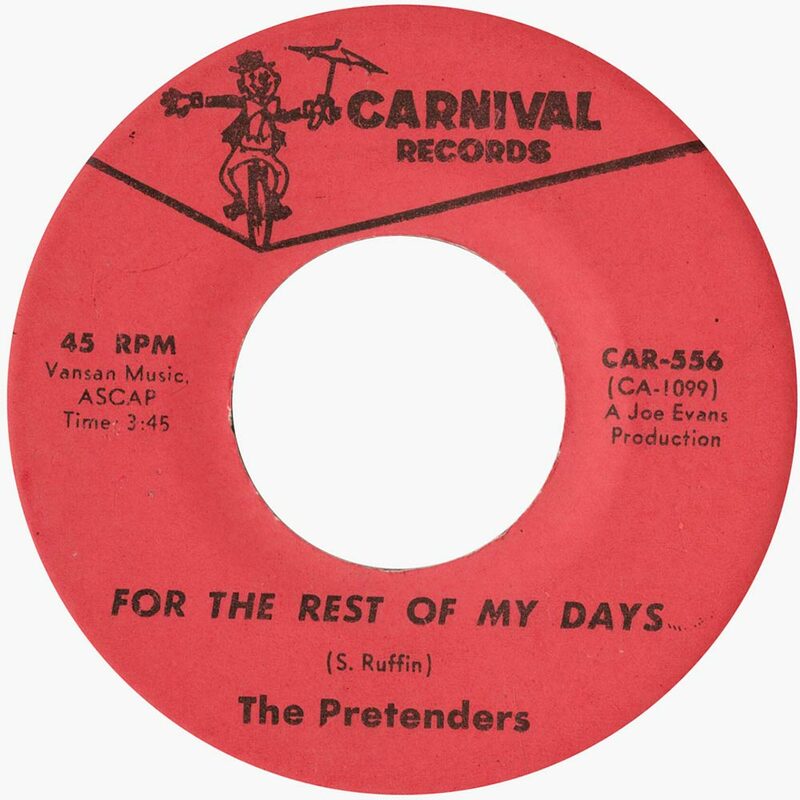 Sadly, The Pretenders never enjoyed the same success as these giants of soul, despite releasing such beautiful, heartfelt ballad like For The Rest Of My Days. Act 1 had changed their name Special Delivery in 1973, after discovering another group with the same name. 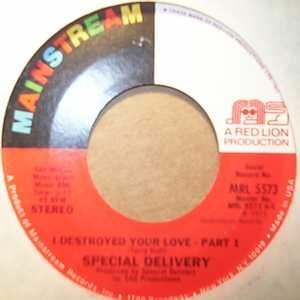 So Act 1 became Special Delivery, who in 1975, were preparing to release their debut single Destroyed Your Love Parts 1 on Mainstream Records. It was penned by Terry Huff who takes charged of an impassioned lead vocal. Accompanied by emotive, needy harmonies, it should’ve been the perfect recipe for a hit single. That was until Terry Huff and George Parker fell out. Two weeks before the release of the single, George Parker left Special Delivery. His timing was disastrous. Destroyed Your Love Parts charted, and began to climb the charts. So Terry Huff brought his two brothers onboard. Sadly, Destroyed Your Love Parts 1 reached just sixty-two on the US R&B charts. Despite that, it’s one of Special Delivery’s finest singles. Brief described The Windjammers recording career. Sadly, it began in 1970 and was over by 1971. During that period, they released just one singles Poor Sad Child in 1970. However, The Windjammers recorded another potential single, Why Can’t It Be? It a heartfelt plea from the The Windjammers that’s full of social comment. However, through no fault of their own, the song was never released. 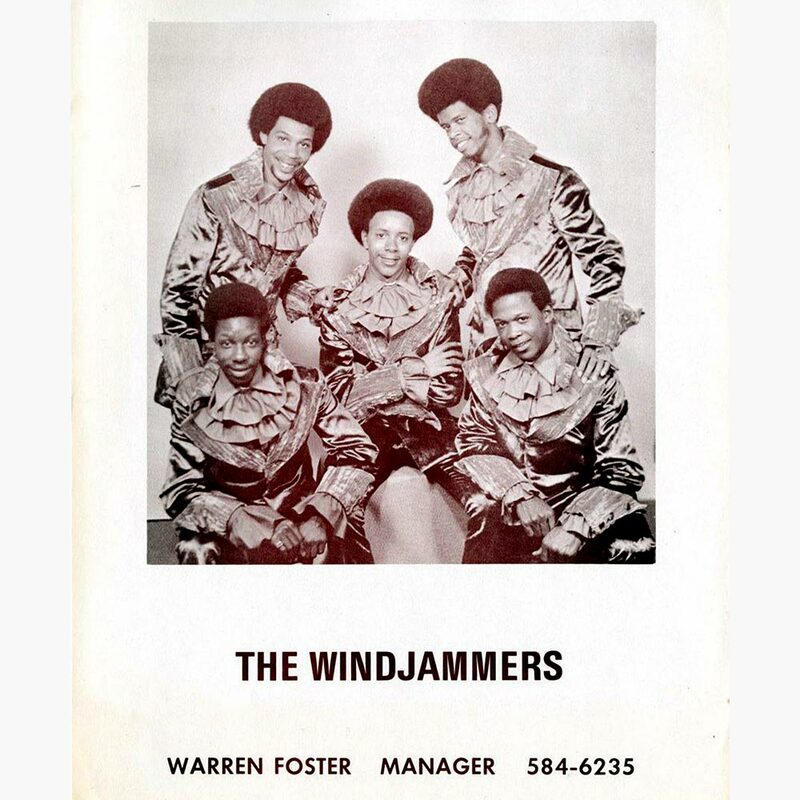 The Windjammers had recorded Why Can’t It Be? at Golden State Recorders, which was one of the city’s top studios. However, Willie Hoskins who owned their record label, neglected to pay the studio bill. So title remained with Leo Kluge, of Golden State Recorders, and Why Can’t It Be? only makes its debut on Harmony Of The Soul: Vocal Groups 1962-1977. The Smith Brothers only ever recorded a quartet of songs for Jack Ashford’s Just Production in the early seventies. By 1973, The Smith Brothers were ready to release their debut single There Can Be A Better Way on the short-lived Soul Dimension label. When The Smith Brothers returned with the beautiful ballad Let Me Take Care Of Your Heart in 1976. It was released on the Miami based Shield label, but sadly, slipped into obscurity. Forty years later, and Let Me Take Care Of Your Heart makes a welcome return. By 1974, producer Dave Hamilton had known Charles “Chuck” Webb for the best part of a decade. The pair had worked together, with Chuck adding backing vocals on various recordings. Then in 1974, Chuck formed The Webb People did. They featured brothers Charles and Dennis plus Ollie and Otis Peoples. In 1974, The Webb People entered the studio with Dave Hamilton and recorded several songs. This included the 1974 single Bump With Me and the flip-side I’m Sending Vibrations. One song that was never released was Love (Our Favourite Pastime). 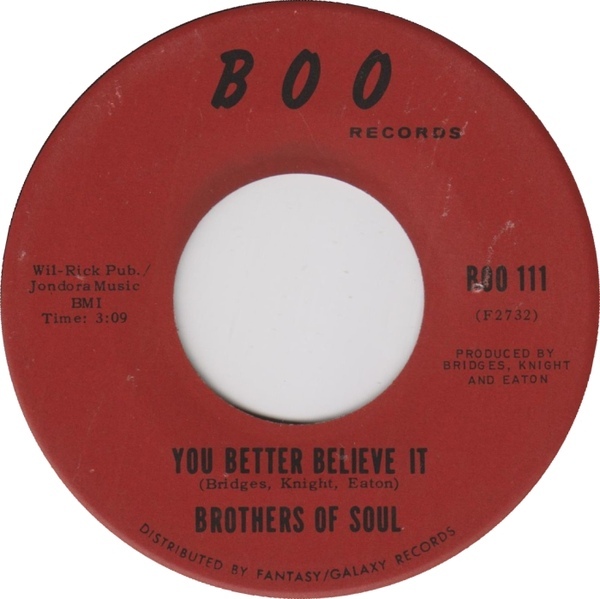 It was penned and produced by Dave Hamilton, and this ballad is the perfect showcase for The Webb Brothers’ vocal prowess. Despite this, it’s lain unreleased since 1974, but is a welcome addition to Harmony Of The Soul: Vocal Groups 1962-1977. For most of their career, the Detroit based Brothers Of Soul comprised Fred Bridges, Richard Knight and Bobby Eaton. That was until Colours Of Soul released their sixth and penultimate single, You Better Believe It. By then, Richard Knight was in prison. So when Colours Of Soul entered the studio with producer Roy Allen, Ben Knight had been drafted in. He played a part in what’s now regarded as one of Colours Of Soul’s finest singles. Sadly, when the single was released in 1970 on Boo Records, it wasn’t a commercial success. Despite that, the single is now in demand amongst collectors, who are willing to pay large sums of money for this hidden gem. Although The M-Ms and The Peanuts released Without A Word in 1965, it’s a song that is reminiscent of the doo wop era. That’s despite the song being recorded in 1964. By then, doo wop was quickly becoming a distant memory. Soon, so would The M-Ms and The Peanuts. Without A Word was the last of three singles the The M-Ms and The Peanuts released on Money Records. Fifty years ago, The Turn Arounds entered the studio in Atlanta, Georgia and recorded I Want You To Know. It was penned by Terry Evans and Jimmy Russell, and featured an understated arrangement. This allow the lead vocal that sounds not unlike Sam Cooke to shine. Despite the quality of the lead vocal and harmonies, I Want You To Know has lain unreleased, and the Los Angeles’ based group never enjoyed their moment in the sun..until now. Following his time at Motown, former Funk Brother Jack Ashford embarked upon life as a career as a songwriter and producer for hire. Using his Pied Piper vehicle, he wrote and produced tracks for a variety of artists. This included The Perfections, just one of several Detroit based groups of that name. In 1968, The Perfections recorded Don’t Take Your Love From Me as a single. On the flip-side was the Warren Moore and William Robinson composition Since I Lost My Baby. When Don’t Take Your Love From Me was released on Drumhead Records in 1968, the single flopped. 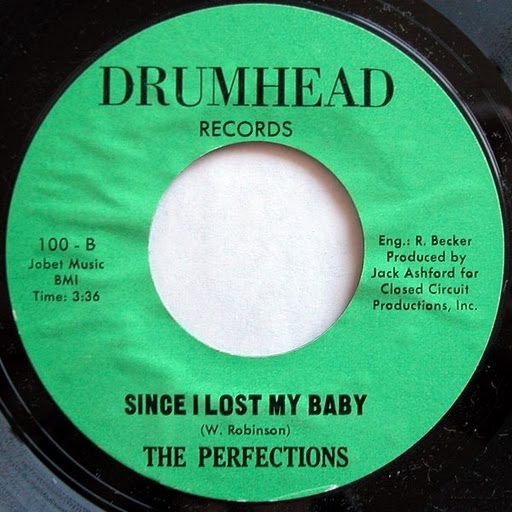 Sadly, that was the end of The Perfections and Drumhead Records. their legacy is : Don’t Take Your Love From Me and hurt filled B-Side Since I Lost My Baby. Back in 1971, Bobby Moore and The Rhythm Aces were just the latest in a long line of groups who journeyed to Fame Studios, hoping Rick Hall could work his magic. This worked the first time round, in 1966 when Searching For My Gave gave Bobby Moore and The Rhythm Aces a hit in the US Billboard 100 and US R&B charts. Commercial success was fleeting, and by 1968, it was a stranger to Bobby Moore and The Rhythm Aces. By 1971, fame was but a distant memory. So Bobby Moore and The Rhythm Aces retraced their steps to Fame Studios. Bobby Moore and The Rhythm Aces recorded one last session at Fame Studios. However, the resultant tracks, including Is Love For Real were never released. Is Love For Real was the only ballad recorded, and features a heart-wrenching delivery. It’s as if Bobby Moore and The Rhythm Aces were determined to bow out in style, and certainly do so with Is Love For Real. 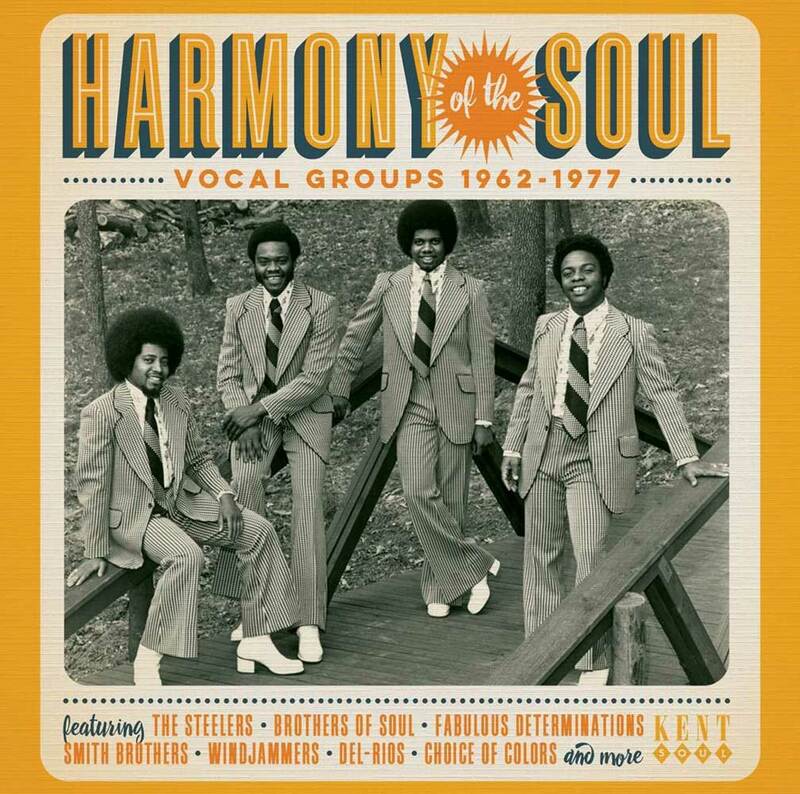 My final choice from Harmony Of The Soul: Vocal Groups 1962-1977 is The Fabulous Determinations’ Don’t Make Me Blue. It was penned by Sam Smith, while Bill Stith, Carl Edmondson and Stephen Helwig co-producer Don’t Make Me Blue. It was released on Mainstream Records in 1975. It’s The Fabulous Determinations only single. However, Don’t Make Me Blue is a delicious slice of the sweetest soul music from The Fabulous Determinations, and one of my favourite tracks on Harmony Of The Soul: Vocal Groups 1962-1977. For anyone who has bought the previous instalments in the Harmony series, Harmony Of The Soul: Vocal Groups 1962-1977 is a must have compilation. It picks up where Soul In Harmony: Vocal Groups 1967-1977 left off. Not only does Harmony Of The Soul: Vocal Groups 1962-1977 pickup where left off, but surpasses the quality of previous volumes. It’s no exaggeration to say that Harmony Of The Soul: Vocal Groups 1962-1977 is the perfect starting point for a newcomer to the series. If however, you’ve never bought any of the previous instalments in the Harmony series, then Harmony Of The Soul: Vocal Groups 1962-1977 is the perfect starting place. 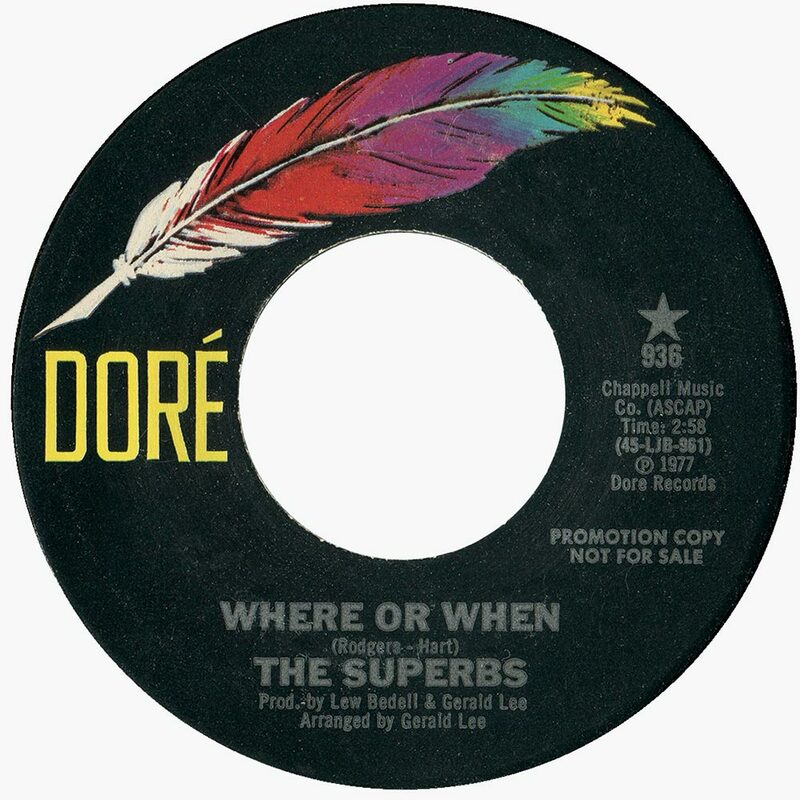 It was recently released by Kent Soul, an imprint of Ace Records. Just like its predecessor Harmony Of The Soul: Vocal Groups 1962-1977 oozes not just quality, but music that’s variously beautiful, emotive, heart-wrenching and hurt-filled. Tales of hurt, heartbreak, love and love lost sit side-by-side with songs of betrayal and loss on what’s an emotional roller coaster. Harmony Of The Soul: Vocal Groups 1962-1977. That’s the only way to describe Harmony Of The Soul: Vocal Groups 1962-1977. ← HANS-JOACHIM ROEDELIUS- AWARDS, HARMONIA, CLUSTER AND QLUSTER.